Seriously!? 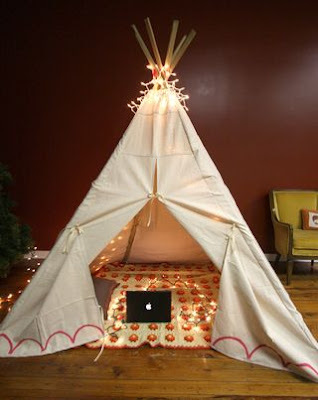 I don't know why I love teepees so much, I just know that I want one really bad. Inside or outside I don't care just gimme a teepee. I found step by step instructions for this one.